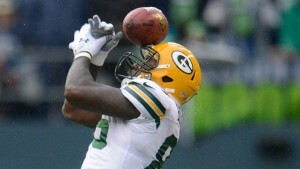 ays he’s moved on from the NFC Championship Game and his time with the Packers. 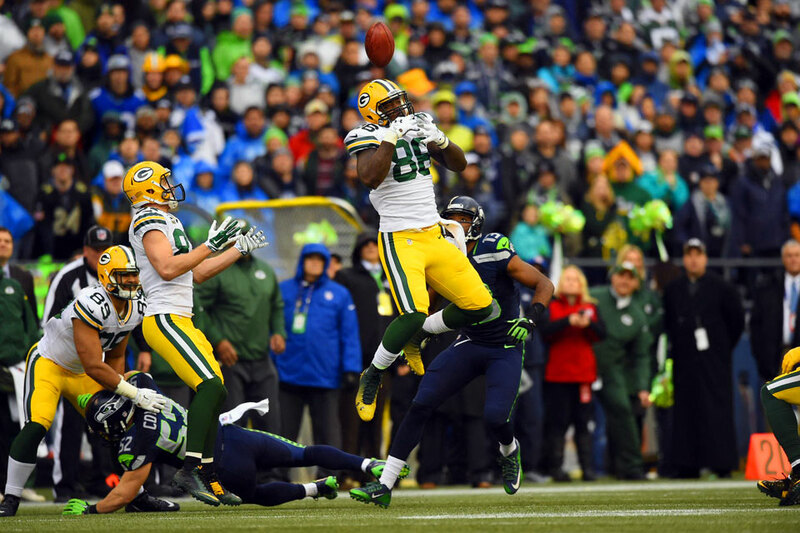 The tight end is now a member of the Vikings, a team that will give him two chances per year to prove to Green Bay it made a mistake in letting him go. 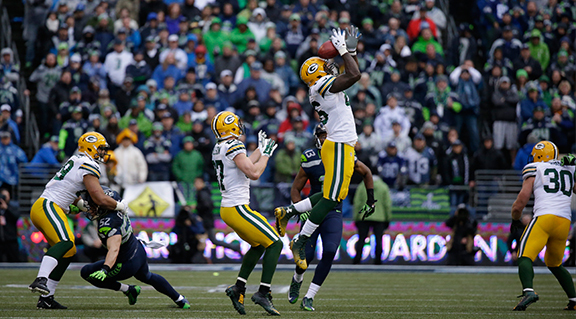 But try as he might, Bostick will never completely distance himself from his failed onside kick recovery attempt against the Seahawks on Jan. 18. He received death threats in the aftermath of the overtime loss, and you can safely assume he’ll continue to hear about the play from opposing fans as long as he plays football…. Published in 2014, it is the ultimate statement by Earnest Byner, the former Cleveland Browns running back involved in the play that has gone down in Browns history as merely “The Fumble. 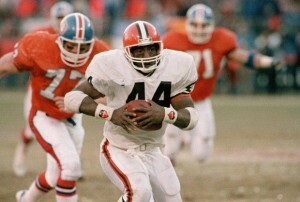 Earnest Byner’s fumble in the 1988 AFC Championship game haunted him for over a year until he left Cleveland. Byner’s miscue at the goal line late in the Jan. 1988 AFC Championship Game in Denver came as he was about to score to tie the game. 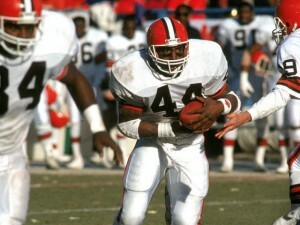 It still hurts Browns fans, and it left Byner feeling like he was drowning……. For Earnest Byner, the play didn’t immediately trigger the memories. It was the words. 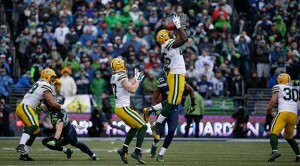 Byner was watching the NFC Championship with millions of other NFL fans when Green Bay tight end Brandon Bostick bobbled an onside kick that Seattle recovered and used as a launching pad toward a stunning overtime victory. 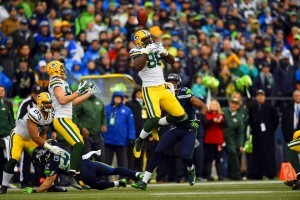 The firestorm directed at Bostick, thanks to the 24-hour news cycle and instantaneous nature of social media, was immediate, fierce and included numerous death threats…..
Former Packers tight end Brandon Bostick became a historical footnote (and a former Packer) by mishandling an onside kick in the NFC Championship Game. And the now-Vikings tight end said yesterday that another player with a famous mistake, Earnest Byner, had helped him through the last few weeks of guilt. 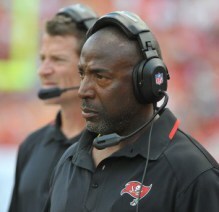 For Byner, the decision to reach out was an easy one, after the years he’s lived with “The Fumble.”……. 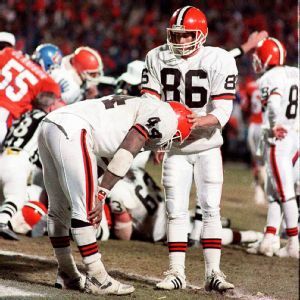 BEREA, Ohio — Earnest Byner saw Brandon Bostick fumble an onside kick that helped cost his team a trip to the Super Bowl. If anyone watching the NFC Championship Game last month could relate to such a crucial mistake it was Byner, the 52-year-old former Browns running back. CANTON, Ohio – Warren Moon, John Elway, Franco Harris, Tony Dorsett and Walter Peyton have fumbled many times throughout their careers, yet they still were in enshrined into the Pro Football Hall of Fame. A man who has his own unique perspective on overcoming adversity is CLEVELAND BROWNS running back Earnest Byner, who will be part of an insightful panel discussion as part of the Hall of Fame’s recognition of BLACK HISTORY MONTH……. MINNEAPOLIS — Sometimes I wake up in the morning and it’s the first thing on my mind. There are nights when I dwell on it before falling asleep. Sometimes the thought creeps up on me when I’m lifting weights, or eating dinner, or sitting on my couch at home. I flash back to that moment—I can see the ball floating right in front of me—and I wonder: What if?………..